I have been tending to my lone raspberry cane for nearly 12 months now. This has involved less watering and fertilising, and more defending - against Sam, who is not impressed by the aesthetics of a straggly 2ft plant against our ugly, prominent garden shed. If you've read my previous post about gardening, you'll know I'm not particularly successful in the green thumbs department. 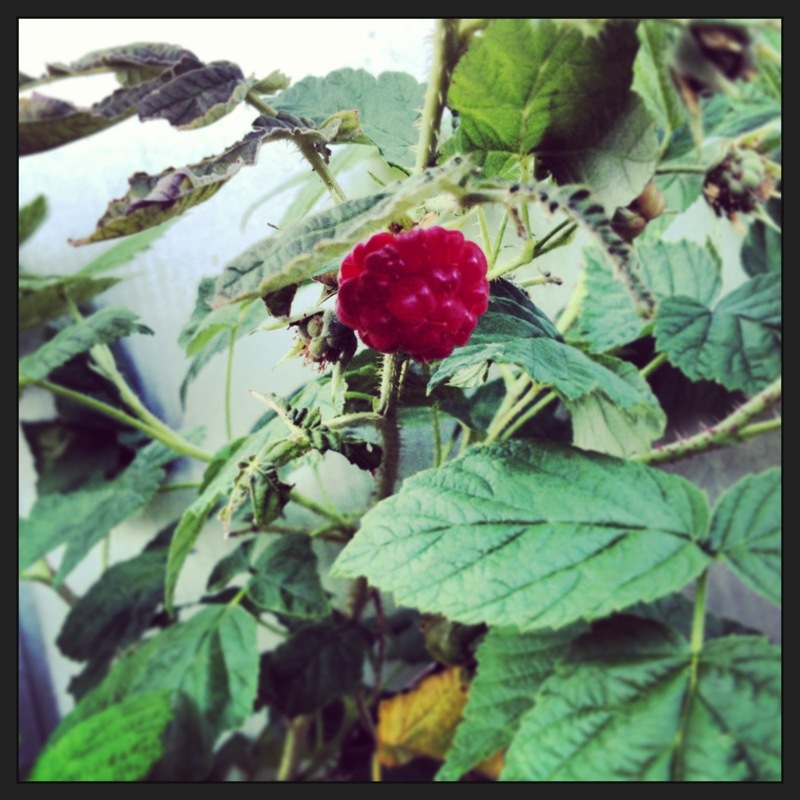 So I was incredibly excited to find this single raspberry on Saturday morning. I actually skipped across the yard to tell Sam about it and then we shared it. Half each. I was a little bit self-righteous and very proud when Sam exclaimed in a surprised manner, "it's good!" I can tell from the flowers on the cane that I'm unlikely to have enough raspberries to make a dessert, so I plan to eat them as they appear. This morning we got a whole rasberry each. Happy days!